Growing up in my tween years I didn’t really suffer from acne as bad as I have now. Traveling between New York and New Hamphire for my first of college is when I started to notice a huge difference in my skin and found out the cause. My skin had gotten so used to the New York air from living in the state for so long that when I got to New Hampshire the fresh non toxic air gave my skin a reality check. I noticed alot of small breakouts here and there. But I got that under control with a little bit of Noxzema Deep Cleansing Cream. When I took a year off from school in 2015 all hell broke loose with my skin. During summer of 2015 I started to get little by little worst breakout then before. It started to get worst by the day. I used my previous regime and yes my skin felt fresh and clean but no change in the acne that had appeared that summer still a lot of inflammation ,black heads. I came to a small conclusion that the toxins and pollution in New Yorks waters and air isn’t that agreeable with my sensitive skin. Then I thought to my self why not test this theory , I went out to New Hampshire for a couple of weekends during the new school year of 2015 and 2016 to visit some friends and my skin started to become healthy again just on the 5 day trip alone. When I touch down back in New York my skin felt grimey and felt my pores clogging up immensly. It was my goal to find something that would not only clear up my skin of acne but help fade the scars (My Natural Contour Lines) as I like to call them because they are right where you put the contour at when you beat your face to the gods. I tried wearing no makeup (skin still the same) , drinking nothing but water (skin still the same) , eatting less greasy foods (skin still the same ), eating almost no candy (still the same) So I started to try out some new beauty products. 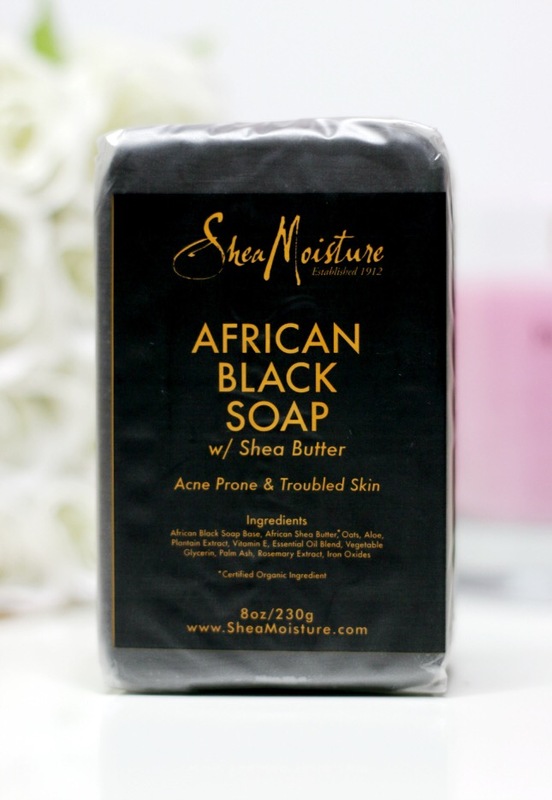 It wasn’t until I came across Shea Moisture’s African Black Soap that I immediately saw results in my skin. 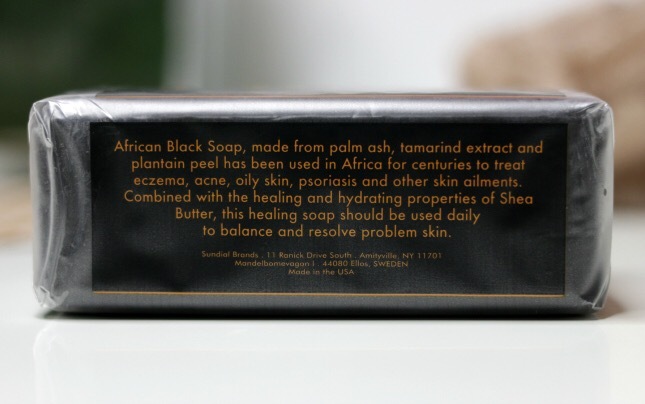 I then started to then do my own personal research found the ingredients in this single bar of soap which includes : African Black Soap Base, Certified Organic African Shea Butter, Oats, Aloe, Plantain Extract, Vitamin E, Essential Blend Oil Blend, Vegetable Glycerin, Palm Ash, Rosemary Extract and Iron Oxides. As I kept reading and researching I found that most of these ingredients are natural supplements that not only help the skin fight acne but also help the skin to fight wrinkles , discoloration , aging , and toxins that can cause all of the normal skin problems. If you have any tips and tricks for healthy skin clear acne free skin please feel free to leave your comments below as well as if you have had any experience with this soap please tell me how has your skin changed since you started using this skin care product.